Therapeutics - (B.) Zipser (ed.) John the Physician's Therapeutics. 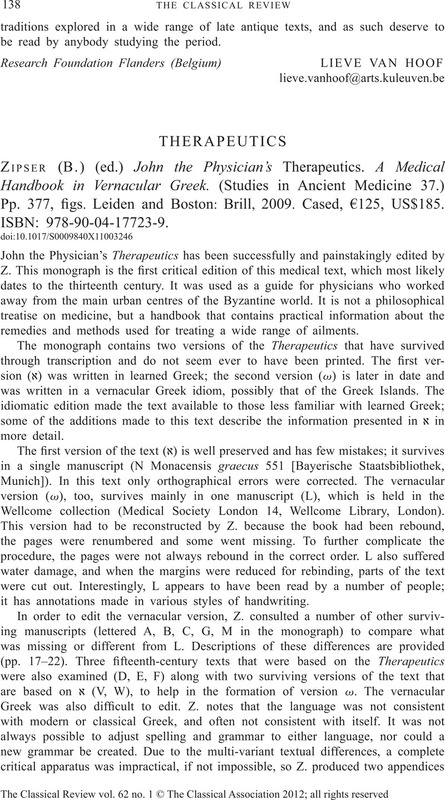 A Medical Handbook in Vernacular Greek. (Studies in Ancient Medicine 37.) Pp. 377, figs. Leiden and Boston: Brill, 2009. Cased, €125, US$185. ISBN: 978-90-04-17723-9.